Clean waterproof mascara and long lasting lipstick perfectly so there is no much words to be said. It also helps to keep the smoothness of the skin. The reasons are here that receives all the complements by magazines and artists. Further more, its a smart product that cares for anti-aging, moisturizing, keratin caring, and manages the pores as well. I have used DHC deep cleansing oil, which is getting popular and Shiseido Tiss Deep oil. I feel that all the cleansing will do its job unless checking them with a telescope. 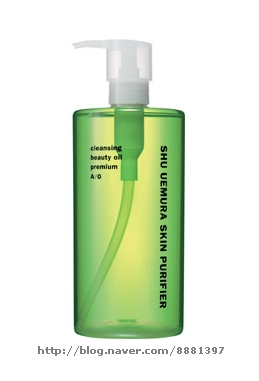 In the past, one of the magazine look through all the cleansing products and the number one was Shu uemura. The cleansing were all good among others but the number one reason is that after the cleansing, there was high moisture and cared for the skin even its use. It is little bit expensive but 450ml uses for a long time. Comparing the amount and thinking about the skin is worth it.